New research published today by the Informa Telecoms & Media news service Music & Copyright reveals that global retail sales of rock music increased 2.9% last year, to US$6 million, from US$5.8 million in 2011. Pop may still be the world’s most popular type of music, but retail sales of the genre were down 1%, to US$7.4 million, from US$7.5 million. Pop and rock dominate global recorded-music sales. According to the annual genre study by Music & Copyright, retail sales of the two genres accounted for 57.4% of total sales in 2012. In contrast to 2011, when there was a fall in retail sales of virtually all music styles, several music genres experienced growth in 2012. Most notable last year was the 8.3% rise in dance music sales. Retail spending on the genre was up, from US$1.2 million to US$1.3 million. Big name dance acts that sold well globally last year include David Guerta, Calvin Harris, Skrillex and Swedish House Mafia. 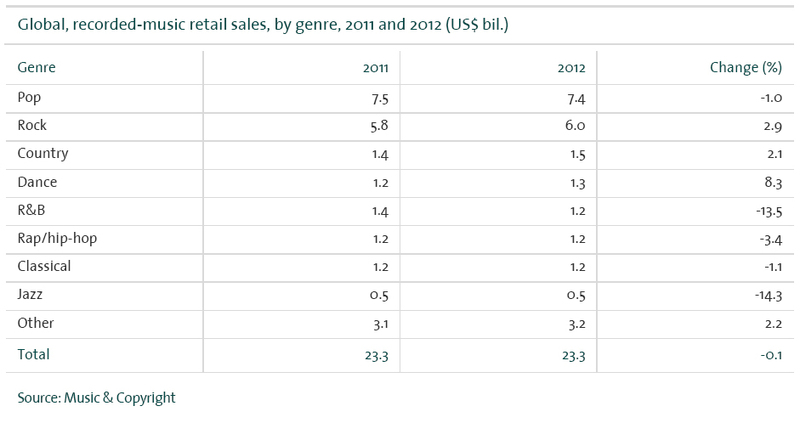 Dance music accounted for 5.5% of global retail sales in 2012. Country-music also saw an increase in sales last year, rising 2.1%, from US$1.4 million to US$1.5 million. 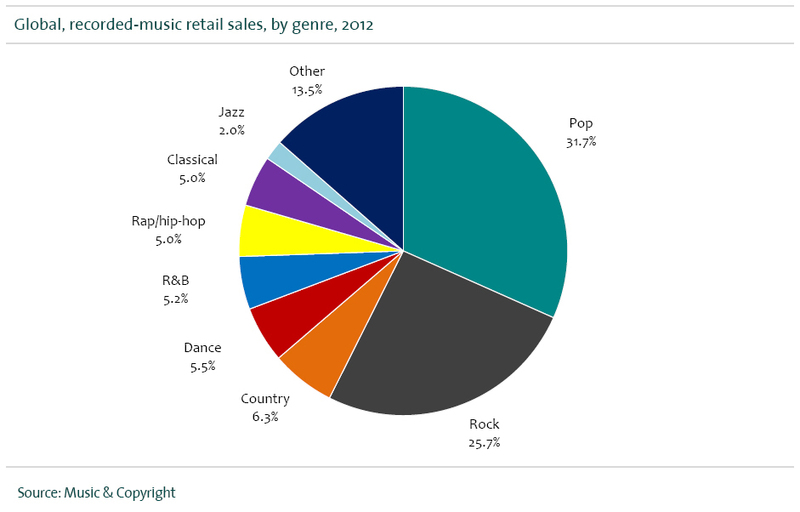 Jazz was the biggest loser in 2012, with global retail sales down 14.3%. Smaller genres have suffered more than most in recent years from retailers giving less floor space to slow-selling, low-margin genres in favor of better-selling items, such as DVDs, video games and consumer electronics. The classification of any artists’ music into a single genre is fairly arbitrary and can differ between record company, music retailer and national trade association. Categorizing music within a genre can often have multiple influencing factors such as musical technique, style, context, target audience and geographical origin. Moreover, many genres have sub-genres that can often overlap others. 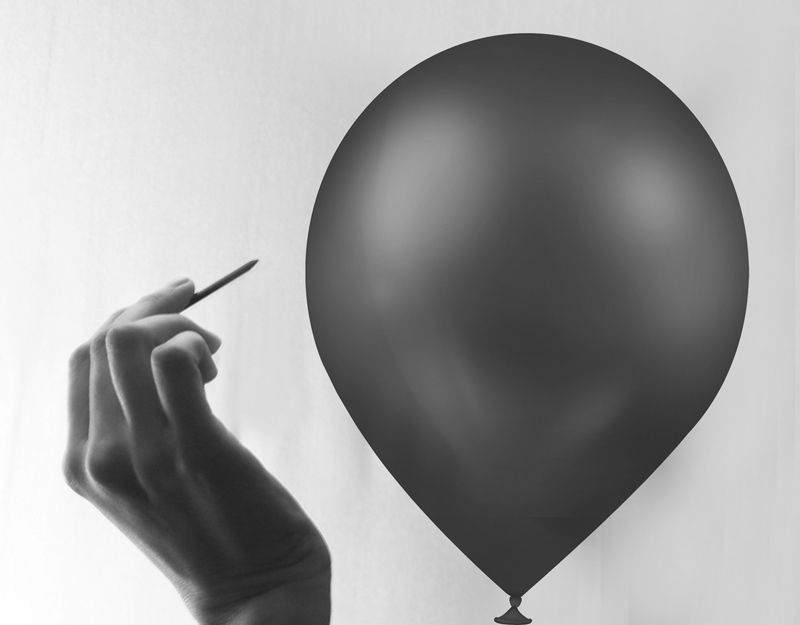 If you like this blog then Music & Copyright might be just what you are looking for. It is a fortnightly research service covering global copyright and legal issues affecting the music industry. It is unrivalled in its coverage of this complex and fascinating area of the music industry. It is also why our extensive client list includes companies and organizations from all sectors of the music industry operating all around the world. But don’t take our word for it, please get in touch and we will send you the latest issue. Music & Copyright is published by Informa Telecoms & Media.